The SafeKids USA/Blue Dragon Taekwondo School, provides martial arts classes and self-defense courses to WNC communities and students of all ages. We offer world class instructions in the art of traditional Taekwondo and its practical applications. Our studio or Do Jang in Clyde, NC is safe, clean, and spacious, providing the ideal atmosphere for our martial arts classes. Led by our 4th degree Black Belt Headmaster, with 30 years experience in Taekwondo, Sa Bum Nim Marshall Hale, we first started classes in August of 2008 at the Haywood Hospital Fitness Center in Clyde, NC. Our first color belt testing took place on November 15th 2008, and our first Black Belt class graduated on November 5th 2011. Over the years, our classes have grown and finally on 2013, moved to our new location. Our martial arts classes are designed for molding students into future leaders, with a lot of confidence, focus, discipline, and self-esteem. 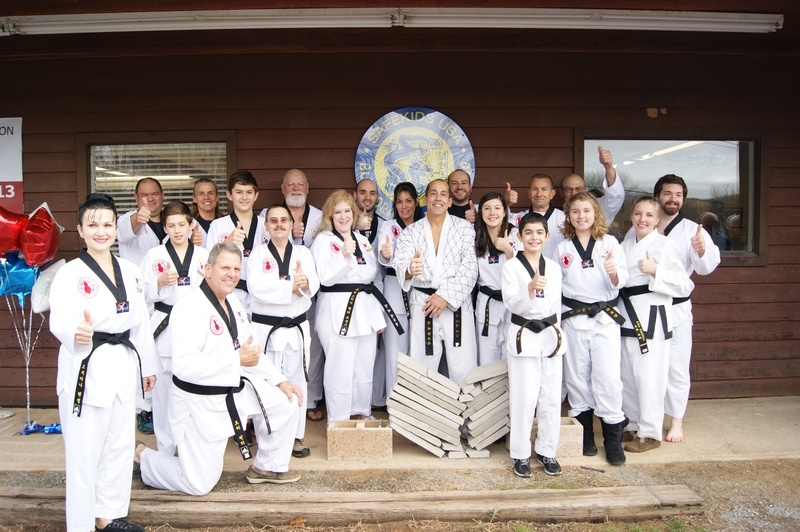 Our Taekwondo school is family owned and operated, providing a personal and prompt level of service that you will not receive at any other martial arts facility in the area. We have students from Haywood County and WNC communities. We welcome anyone, from anywhere, whom might be interested in martial arts. We would like to respectfully dedicate this site to the memory of Grand Master Young Soo Do, for his commitment, teaching excellence and great contributions to the art of Taekwondo. His legacy lives on. This site is also dedicated to all those Taekwondo enthusiasts and other Martial Artists. Here you will find information about our Taekwondo classes, events and other interesting and cool facts about Taekwondo.